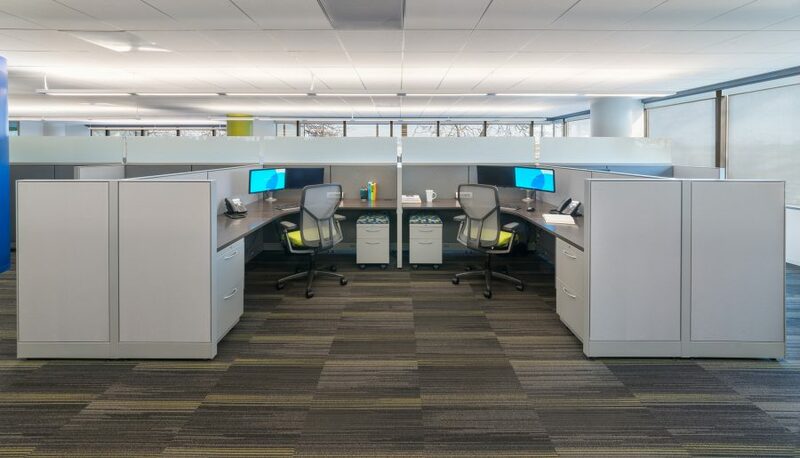 Wright Heerema Architects renovated Alliant Credit Union's expanding Rolling Meadows office. 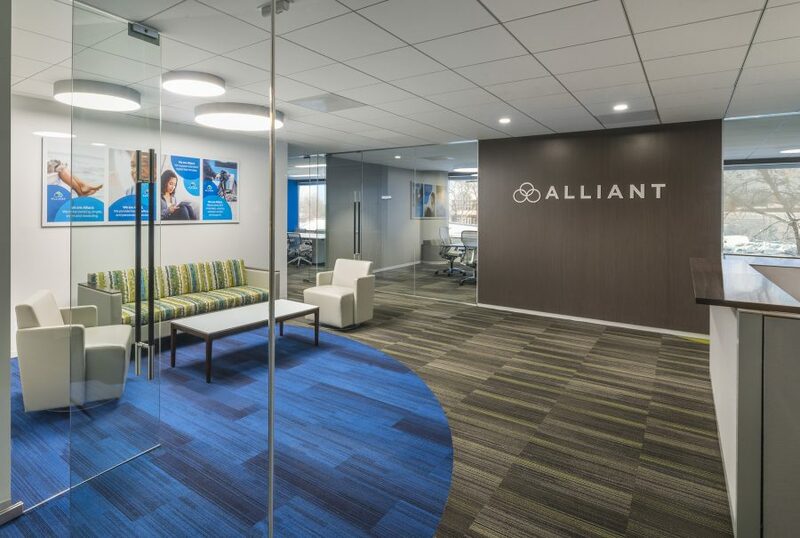 Alliant charged WHA with creating workspaces designed to cater to the collaborative and flexible working style of the millennial generation. 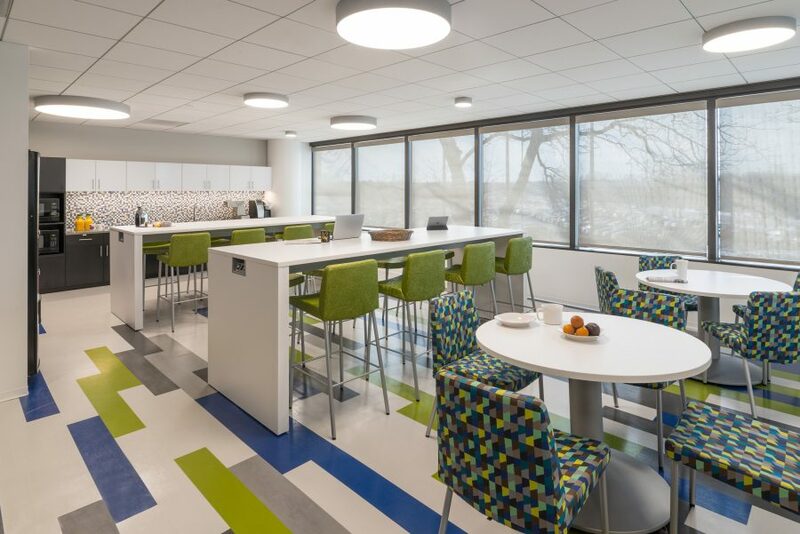 To help achieve this goal, WHA designed a new café lounge at the Rolling Meadows location in response to Alliant’s desire to encourage socialization among employees. 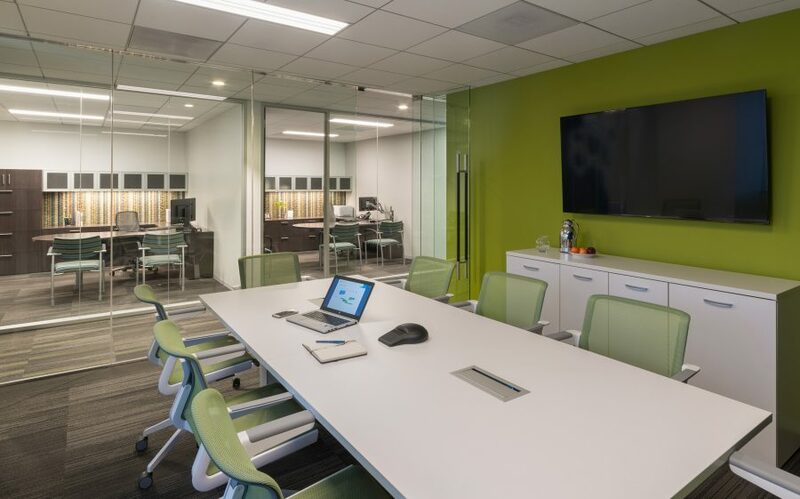 A variety of conference rooms in varying sizes are situated throughout the offices to accommodate collaborative work groups. 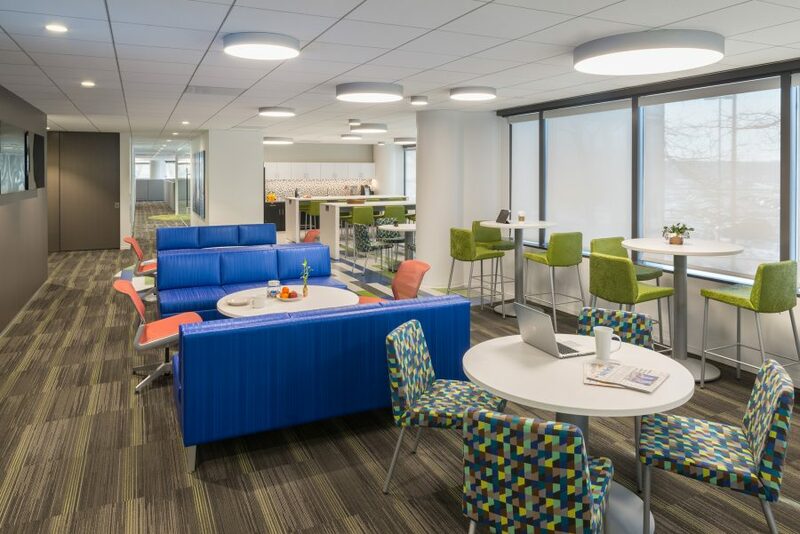 The new workspace designs create a new look while leveraging existing architecture and furniture. New carpet, paint and accent lighting brighten and refresh the spaces.